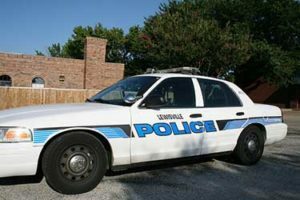 If you were involved in a car accident report and the Lewisville Police Department was responsible for filing the car accident report, you have several options to obtain a copy. You can obtain a copy of the car accident report either in-person or request one by mail. In addition, crash reports can be an important piece of evidence if you sustained injuries from a car accident recently. Car accident reports provide detailed information about what occurred at the scene and might differ from what other parties claim might have happened. To obtain a copy of the crash report in-person simply download and fill out the Accident Report request form and deliver it to the Records office. They are located at 1187 West Main Street Lewisville, TX 75067 (directions). The crash report has a fee of $6 and the form of payment accepted in cash or check only. Additionally, some crash reports can take a couple of days before they are available. Be sure to call them before heading down there, you can reach them at (972) 219-3600. The Lewisville Police Department is open Monday through Thursday 7:30 a.m. to 5:30 p.m., and Friday from 7:30 a.m. to 11:30 a.m.
We’ll get your Lewisville crash report for you. Just provide the details of your accident, and we’ll do our best to track down your Lewisville accident report and email it to you. After your payment is processed, you will be mailed a copy of the car accident report. However, if you provide a current email address on the request form, you will be emailed a copy.